Edited by Mr_Mayhem71, 19 May 2018 - 11:45 PM. Edited by Icefang50, 22 May 2018 - 01:18 AM. Edited by ZebraUp, 22 May 2018 - 11:19 PM. Two more Aces today for a total of 3 so far! Edited by ZebraUp, 22 May 2018 - 11:33 PM. 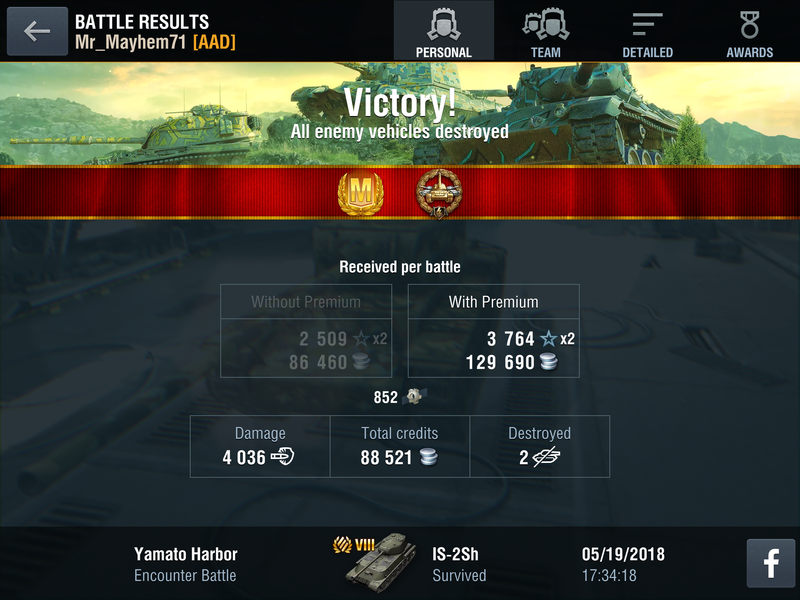 Well, another tank I hate that I mastered. The SU-100, the red-headed stepchild of the SU line. Thanks to all of you who gave advice, or at least made me feel better about my suckitude in it. I kept playing it tonight, over and over and over again. 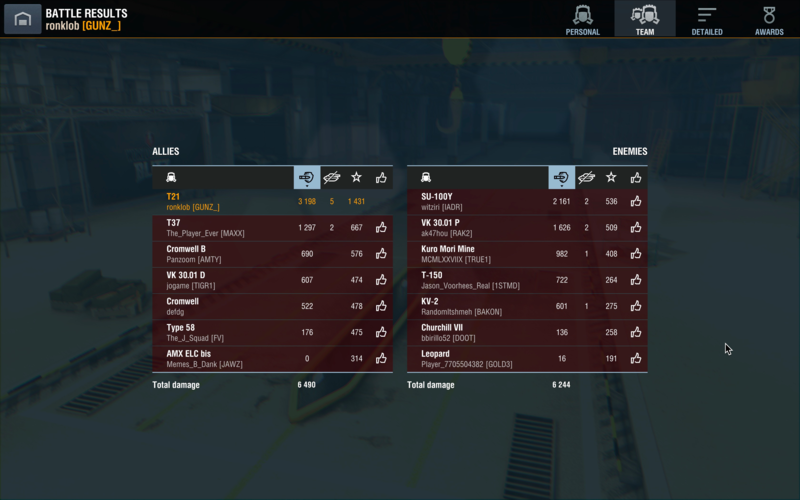 I was almost always the XP leader on the team, but I kept losing! Finally, in a battle that I thought was hopeless, where all but one of my teammates had managed to die, most without doing too much damage, I finally was able to destroy the last red, using the corpse of one of his dead comrades as cover. And, as is my habit, I immediately sold this bucket o' bolts. Good riddance! Edited by TonnerreCadien, 23 May 2018 - 01:48 AM. The rare waffle carry. IMO the best td in the line. Edited by skylerneal2020, 25 May 2018 - 12:16 PM. year and a day since I've used the big guy. Anyone know if we can post our replays on this thread I:e the new replay system? Just posted this to the Blitzstart HOF - took #8! First HOF-worthy game. I had no idea it was going to be such a game. 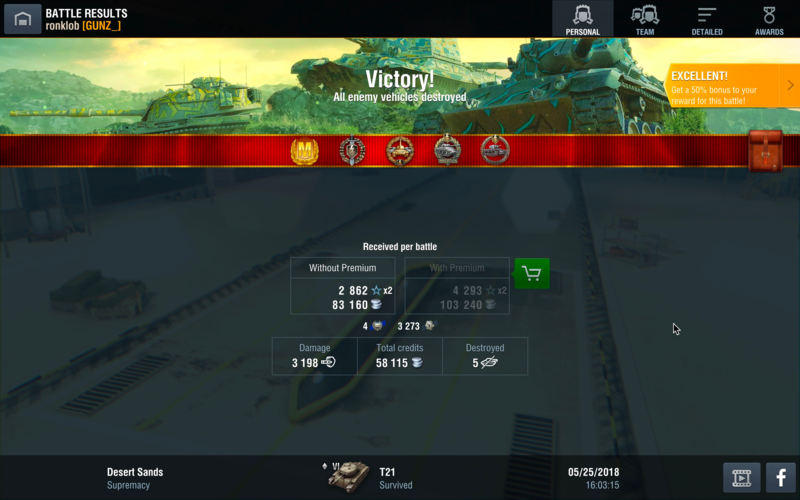 I got hit from a SU100Y early in the game, for half my HP, then danced around a KV2 for a bit, and looked up and only had one green left. He YOLO'd into a Tiger P and the 100Y while I whittled away at the Church. Once he died, I ran around to the south end to reset and try to cap their base to stop the timer. Just as I came up to B, the Y was capping A with the Tiger, but the Y was just tall enough for me to finish it off. The Church trundled back under the trestle, and I was able to finish him off. He pulled one shot on me, leaving me under 200 pts. Then the Tiger came over the rise from A. I got a shot as he missed, leaving him a one-shot. We both sat on either side of the trestle, as the Red counter was nearing 1000, he peaked out, and we both shot. He died, I had 16 pts left. All he had to do was stay away from me and it's a very different game for me. Sloppy battle at Lost Temple in my Ace Qwest for my VK 30.01 H.
It's low damage for an Ace I guess but I'll Tank it. Equipment used, usual top 3 plus the GLD and the Enhanced Engine. Will I add any more? Will I even play it again? I was thrilled when I saw that Gold M but after thinking about it, I was lucky I even won. 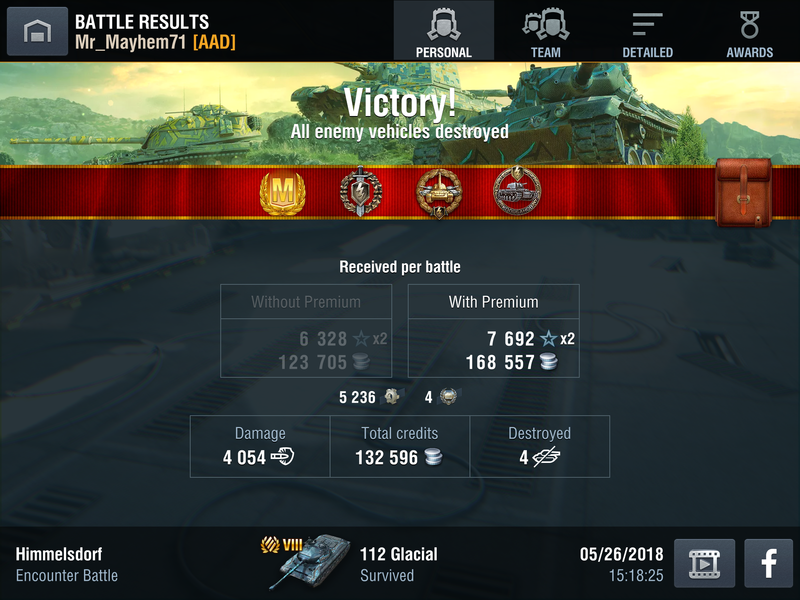 Last Red standing was 71%er 18K battles. lower tier DW2, that's for sure. Pulled this out of the garage and had a good game. 18 points shy of a Hall of Fame game though. Edited by ZebraUp, 26 May 2018 - 05:15 PM. Hate starting out on the BOTTOM! People start posting replays yet? Yup. I watched it on YouTube too.